At the moment there is still a fair amount of colour in the garden, I still have dahlias and roses and even some late sweet peas flowering away. I look at all of these and think they will not be around for many more weeks as we are on the count down for the first frost. It is tempting to see this time of year as The Great Shut Down, the end of the growing season and the prelude to Winter. Well it is really all of these things. For the next few months most plants will be shutting down, but soon the tips of next year's Spring bulbs will be visible and at that moment, on the sight of the first bit of growth for Spring, I always give a small sigh of relief that I know it is all going to happen again next year. This time of year I am looking at the trees, looking at the new buds of growth forming even as the leaves are falling to the ground. I am not a great one for evergreens, I have very few in the garden and partly this is because they do not give me enough seasonal change. I like the leaf-drop and restoration cycle, it shows me real change and change is good. I have only had a proper greenhouse since moving to this house, and each year I learn a little bit more how to use it. At first I sowed seeds in the late Spring and by Summer it was pretty much empty until the next seed sowing spree in the new year. 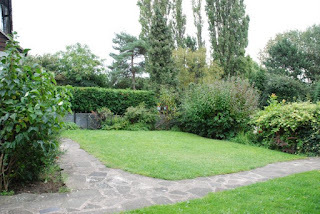 Now it is in use all year, this time of year it has been filled with various cuttings and Autumn sowings as the foundations for next year's planting. I am getting better at cuttings, it is very much trial and error for me and I do take the point of view that if I take a cutting and it fails the most I have lost is a bit of compost and time, its not really a great problem and at least I tried. This year (warning, warning, boast alert, boast alert) I am really pleased with that I managed to successfully take two cuttings off my lemon shrub, the Clianthus puniceus and also one from my Amicia zygomeris. This has made me happy but of course I do have to keep them alive over the Winter and that is actually probably the real challenge. 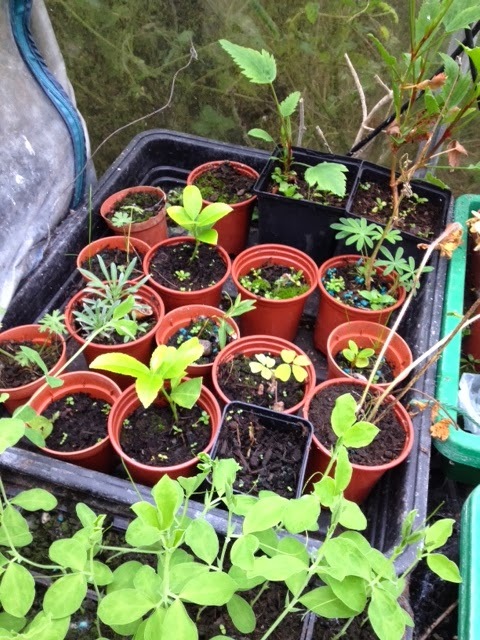 I have various other cuttings showing signs of roots, several fuchsias, a sage, some perennial wallflowers and the Cistus. Many of these I take cuttings from routinely now every year as they are a) pretty easy to root and b) contingency in case the mother-plant dies over the Winter. So whilst it might feel like it is the Great Shut Down, it is also the time to get planning and making sure I have banked enough new hope in the greenhouse for the new year. I would have called this post A New Hope, but that's all a bit episode IV really. I've been very lazy with cuttings this year, although I did try camellia, which is challenging. The jury is still out. I shall also try some late herb cuttings when the rain stops, and rescue my french tarragon before the frost gets at it. I've never tried camellia, I'd be interested to know if it works. I tried a hydrangea this year but failed with that. 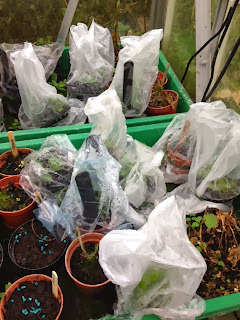 Wow, so many cuttings you made, is your greenhouse heated. In the past I made lots of cuttings too in autumn but since we do not heat our greenhouse anymore, I only make sometimes cuttings of Hydrangeas and perennials, as Phloxes. I failed with hydrangea sadly so far. No its not heated, if I get panicky about the cold I do bring things into the conservatory just in case. I always think I should be doing more with my Greenhouse over the winter, but I don't want to be going down the route of heating the thing, I'm going to try some cuttings soon as I got a good deal on a heated propagator. I don't think I would heat mine either, it doesn't have electricity and I am always a bit wary of parafin heaters. We do appreciate the four seasons we have here, although always hoping that the winter will always be mild. Thoughts of spring is always something to help see you through the cold period. I too love to have lots of plants that show seasonal change. Yesterday I noticed the leaves changing on the witch hazel, but at the same time the buds are swelling, so hopefully I will have flowers in January, which is a lovely kind of almost magic. 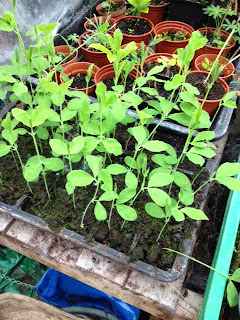 I've not taken any cuttings this year, though I may try some late softwood cuttings as it is so mild but I am a real novice when it comes to cuttings, with more failures that successes so far. My rosemary cuttings are doing really well though! Cuttings amaze me, just taking a bit of a plant and sticking it into some soil, and it forms a new plant - wonderful .I have lots of cuttings now in the greenhouse which isn't heated, when frost is forecast I cover everything with 3 or 4 layers of fleece and usually they come through ok. 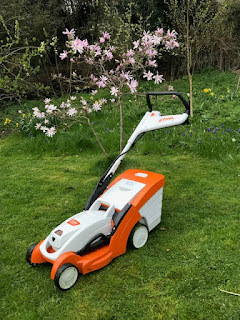 Your photos show that you will have plenty of new plants for next year.